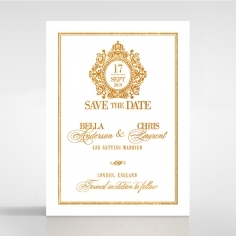 A captivating work of art featuring an intricate vintage appeal with heightened elegance. 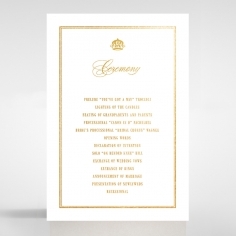 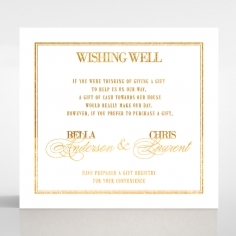 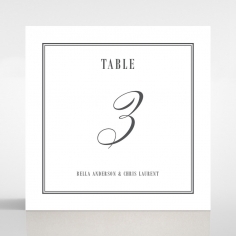 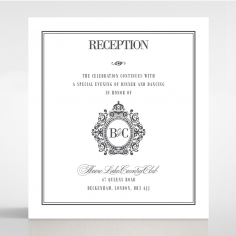 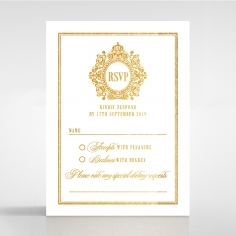 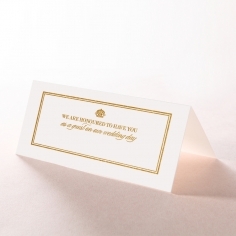 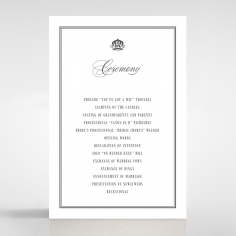 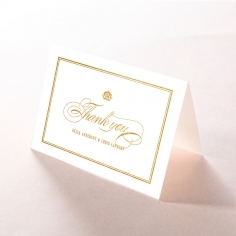 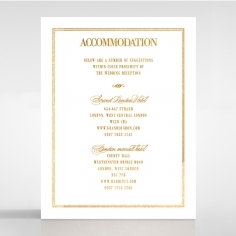 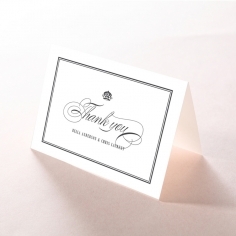 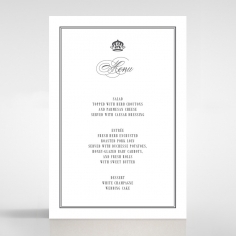 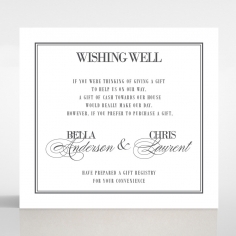 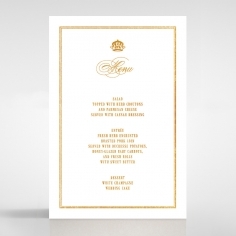 A premium ivory card stock is hot foil stamped in luxurious gold to create the border and regal monogram which is customizable, and to present your personalized wedding message. 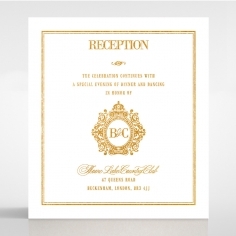 This card is exquisitely framed using a golden card backing with overlapping flaps on either side. 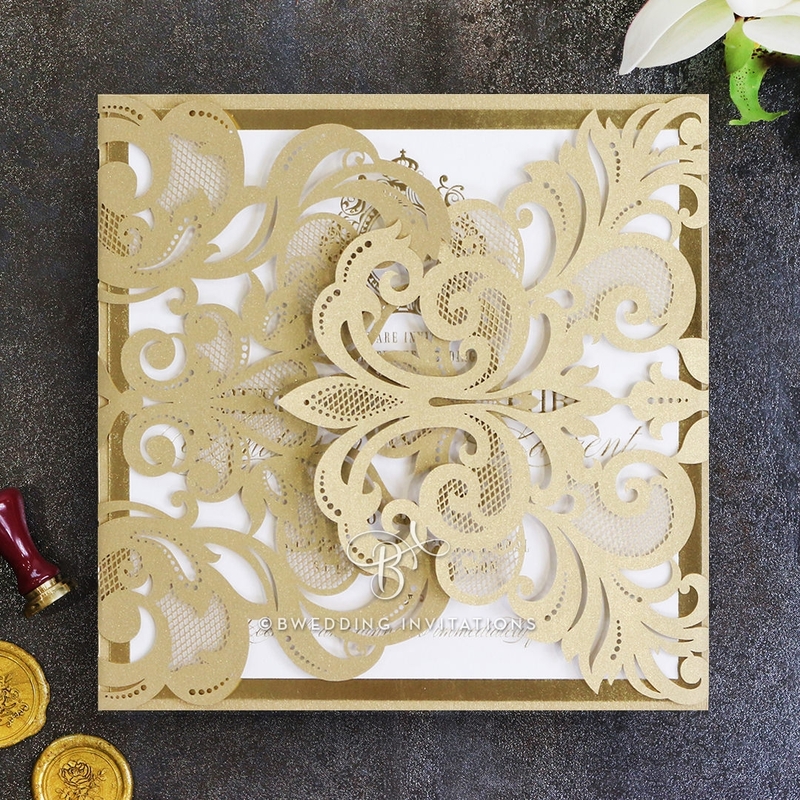 These are crafted to create baroque patterns and precise detailing using the latest techniques in laser cutting. 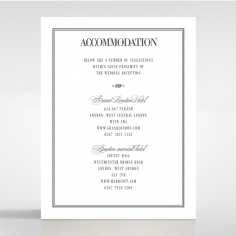 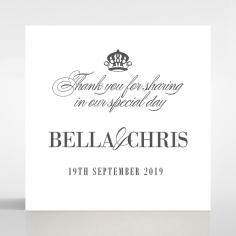 To ensure that this design flows throughout your wedding stationery, opt to add the matching stationery that we have meticulously designed for enclosure cards and on the day accessories.